The McKeon Stone workshop at Stradbally was the location for the carving of limestone panels which were erected as a memorial to the 1916 Rising in Lusk, County Dublin. 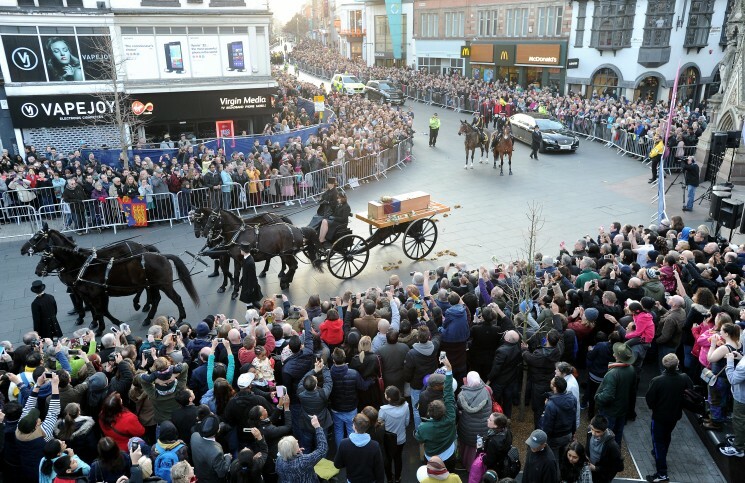 At McKeon Stone, we are very pleased to be associated with a new tribute to a hero of the sporting world. 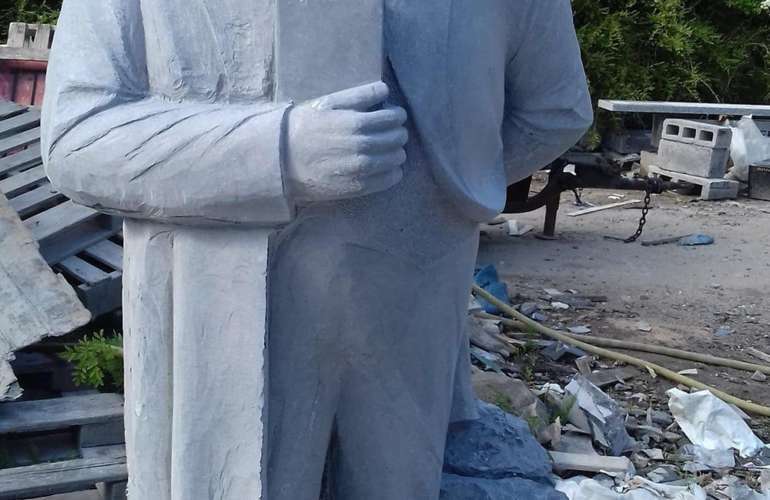 Michael Cusack (Mícheál Ó Cíosóg), the founder of the Gaelic Athletic Association, is being commemorated with a statue carved from our beautiful Kilkenny Blue Limestone, which will stand at the entrance to Cusack Park in Ennis, County Clare. The Park is the home of the Clare Gaelic Athletic Association. 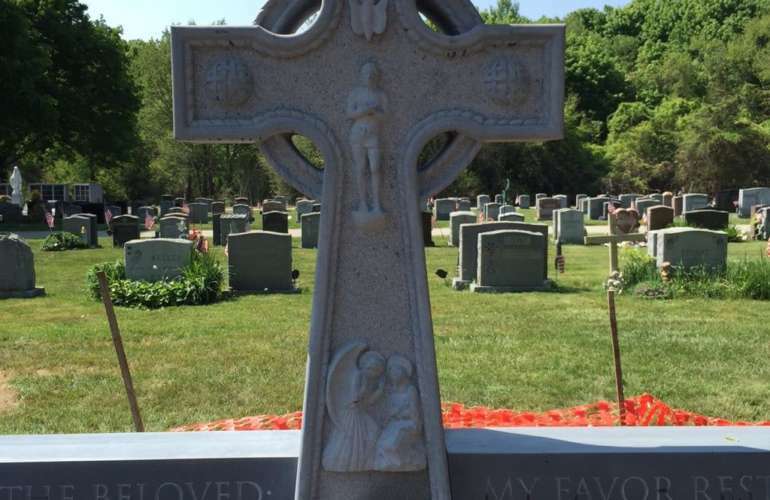 In collaboration with American sculptor Stephen Shaheen, McKeon Stone was involved in the construction of a memorial to a talented young Irish American man who was killed in a tragic accident. 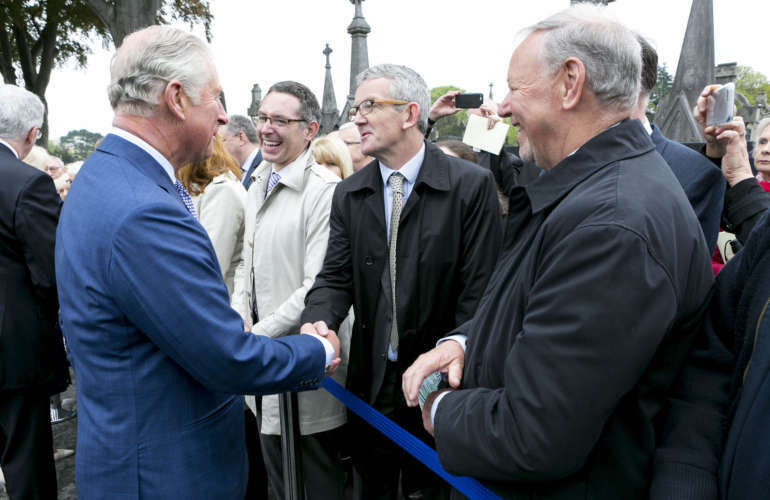 On May 12th, McKeon Stone was represented by James McKeon and Niall Kavanagh when Prince Charles and Camilla, Duchess of Cornwall, visited Glasnevin Cemetery as part of their four-day official visit to Ireland. At the cemetery, Prince Charles and the Duchess of Cornwall visited the Cross of Sacrifice where they unveiled a new memorial to the four Irish soldiers who were awarded the Victoria Cross, Britain’s highest award for gallantry, in 1917. Monument erected in Cork, made in Stradbally. Headstone for the Giannikis family and Ryan Turbity show, erected July 16th. Full story can be seen in the Laois Nationalist and the WicklowNews. 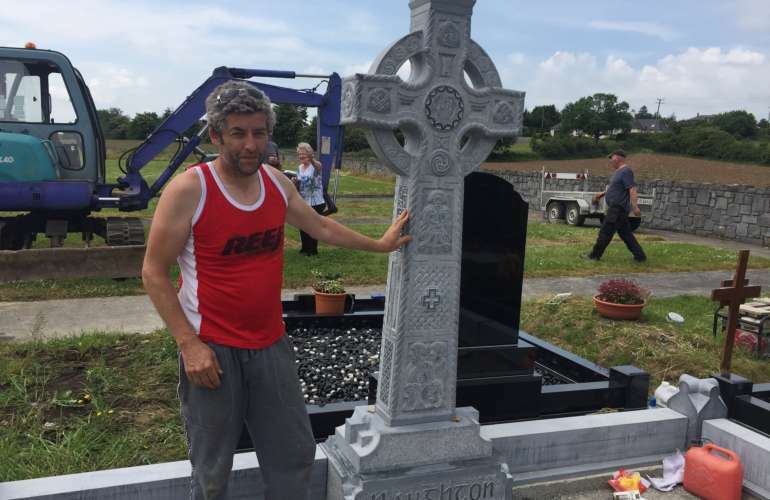 This cross standing at 7m tall will be erected in Glasnevin cemetery beside the World war 1 and World War 2 monuments and just beside the grave of Charles Stuart Parnell. 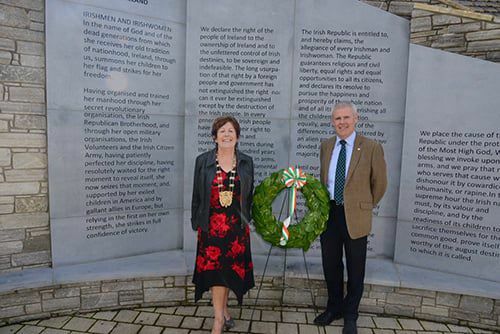 McKeon Stone presented a stone seat to President of Ireland Michael D. Higgins at a recent visit to Stradbally. The stone is placed at the new Arthouse in Stradbally.